I visited Craig soon afterwards and waded in the cold waters of San Francisco. Last year, I had the opportunity to visit my family’s homeland in Lviv, and have since been running online permaculture workshops for IDPs and refugees in Kiev. And three weeks ago, I was offered the opportunity of a lifetime: To coordinate a permaculture literacy pilot project in Ethiopia with a socially-conscious start-up called GreenPath food. For the next 6-9 months, I will be working with 19 small-scale Avocado farmers in Butajira, Ethiopa to (A) Determine what sustainable farming strategies farmers are already using (B) Co-develop permaculture strategies with each farm and action plan for implementation and ( C) Help farmers collect data to see how permaculture strategies improve quality of yields. This opportunity is at once exciting and terrifying. On the one hand, I feel like I’m in over my head. At the same time, I feel like this is the job I was born to do. For many years, I have worked as an ESL teacher and literacy coach who focuses on the exchange of ecological wisdom in an international context. Specifically, I specialize in teaching immigrants, refugees and English language learners how to read, write, and grow food at the same time. 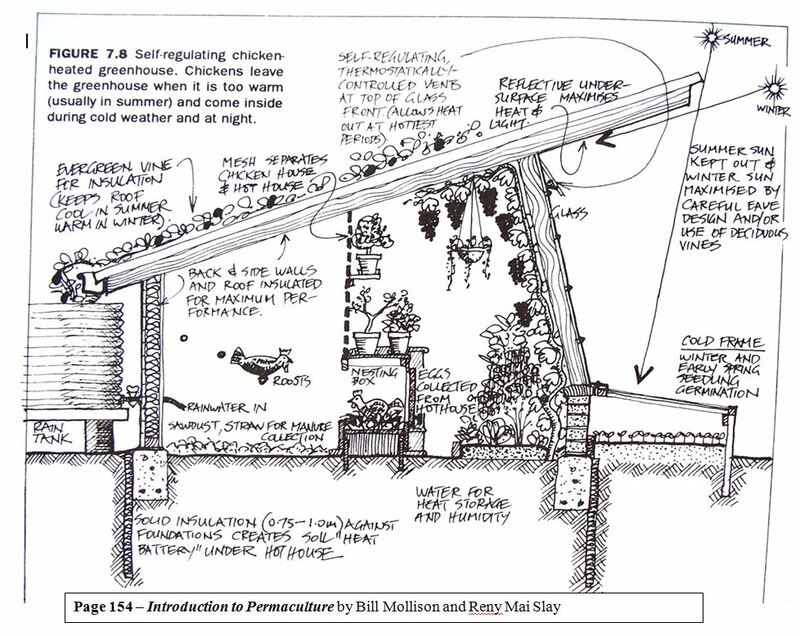 In permaculture we call it stacking functions; or as I like to call it, “freeing two birds with one key.” My vision of teaching English literacy through permaculture has not always been understood – There were people at the NYCDOE who preferred a more “inside the box” approach, and even Peace Corps recruiters were asking me to “pick a track.” But now, a group of creative, intelligent, and passionate idealists from MIT see potential in this approach. This is like Café Night 2.0! Instead of working with immigrant teens to design and install gardens, I will be collaborating with Ethiopian farmers to read, write and grow avocados. For 7 years as a New York City High School teacher, I have read a wonderful book with my students called Of Beetles and Angels by Mawi Asgedom. It is an autobiography written by an Ethiopian refugee who winds of graduating from Harvard. Filled with beautiful photographs and heart-felt stories, it is an uplifting book that I would recommend to anyone. Through this work of literature, Ethiopia has very much become a part of my pedagogical imaginary. I always dreamed of hosting an Ethiopian potluck for my students. I never realized how much I wanted to go to Ethiopia until this perfect position with GreenPath presented itself. Whenever I start to doubt myself, new synchronicities arise to guide me towards this path. Already, I have a super-team of people who want to help me roll in this experience with a PhD in Sustainable Agriculture, with a focus on anlyzing the power of permaculture for peace-building and literacy development in post-conflict areas. Paul Coelho writes about following your own “Personal legend.” I feel like I am about to embark on the challenging and rewarding journey of blossoming into my true self. As my plane took off from Jeddah, Saudi Arabia (Shout out to my LCI students!) I found myself sitting next to Phoebe, and 24-year old Ethiopian-American girl who just finished Grad school in Dallas and is about to visit Ethiopia for the first time. I told her the story of how, at this time last year, I was also flying to Ukraine, the homeland I had never seen, for the first time. That all of the stories my parents and grandparents had told me were true. That it was better than I ever could have imagined, and that it would be just as amazing for her. Last year, I celebrated Ukrainian Christmas (January 6th-7th) in Ukraine. As it happens, Ethiopians also celebrate Christmas on January 6th and 7th! Tomorrow, I will be celebrating Ethiopian/Ukrainian Christmas in Addis Ababa. I never could have imagined this opportunity, and yet, it is perfect. My plane is about to land in Addis. 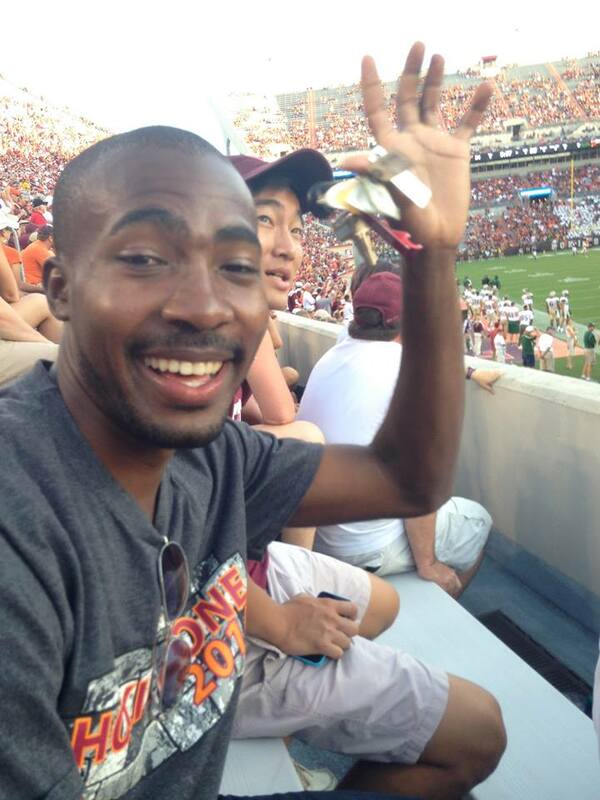 But before I sign off, I wish to say thank you to a number of people back in Blacksburg who made my departure possible. Thank you to Elliot Crompton for helping me pack my bags and edit my life. Thank you Caitlin Gallagher for sub-leasing my car and Sydney Darden for subletting my room- this helps a lot financially! Thank you Naeem Mia for being a legal, economic consultant and also being a great friend who knows me well enough to support me in taking calculated risks. Thank you Natalia for generously hosting me in Washington DC. Thank you Mike Heitzman for loving, forgiving, and supporting me, imperfect as I am, and for being there for the adventure before the adventure. Thank you Tim Naylor for overnight mailing me an important package, and thank you to Maureen to taking the lead at Crow Forest while I’m gone. Also, thank you Steven Banks for the digital camera, and thank you Will and Kacy for the soundtrack and great pair of earrings. Also, thank you to Christine, Cathy, and Jesse Lawrence, who blast back from the past despite everything they have on their plate. Also, of course, thank you to Mama (Irene Zawerucha) and my brother (Nicholas Zawerucha) for raising me to be open-minded and embracing of different cultures and perspectives. Thank you to Blacksburg Friends Meeting and All Souls Bethlehem church in Brooklyn for keeping me in the light as I muddle through. Thank you Jerzy Nowak, Ozzie Abaye, Paul Struik and Susan Clarke for encouraging me to pursue an international PhD in Sustainable Agriculture in connection with this project. Thank you, everyone- Amesegenalahu! We have been so busy doing the rewarding work that we do, and it’s time for an update on exciting developments with Permaculture for Peace! First of all, our application for a grant from Barilla Pasta is in 3rd place to win $20,000 to start an Heirloom Seed Bank in Fondwa, Haiti. Please vote for us before 11/30/14! Your vote will really make a difference! Thank you Junior Beauvais, Fang Wan, Laura Zanotti, Christina Zawerucha, and Max Stephenson for making this project possible! 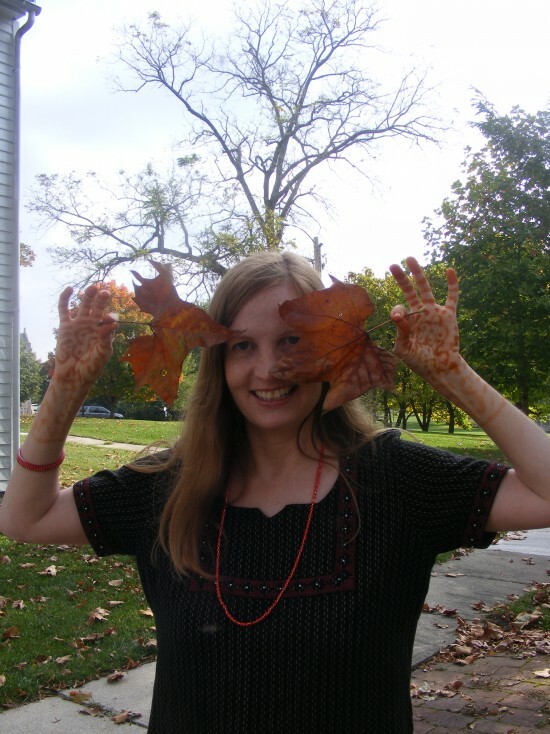 Second, Christina Zawerucha will be presenting “Permaculture Publishing: Empowering Immigrant Youth in an International Sustainability Context” at TESOL 2015 in Toronto, Canada. 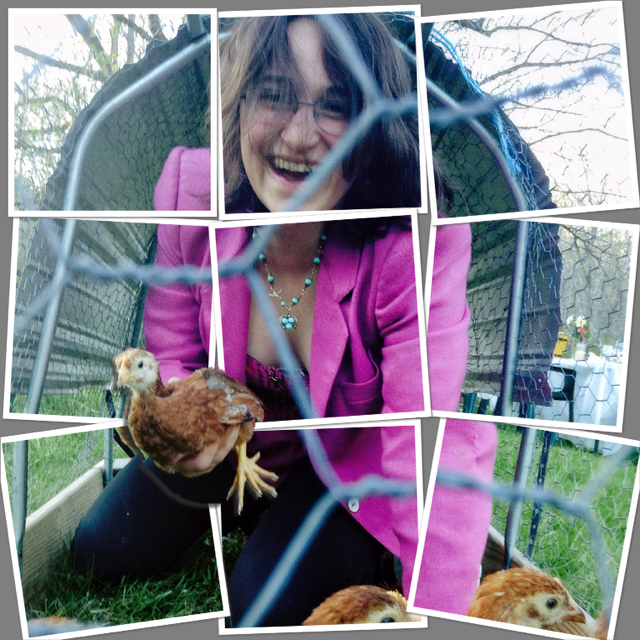 This is the largest applied linguistics conference in the world, and Christina will be bringing permaculture to the pedagogical table. May it make a resounding impact! Finally, our Life at the Crossroads: Permaculture for Peace course in collaboration with the NGO Permaculture in Ukraine will be drawing to a (temporary) close in December. Please check out our calendar of events to participate in the last few sessions on Aquaponics and Permaculture in Public Education. 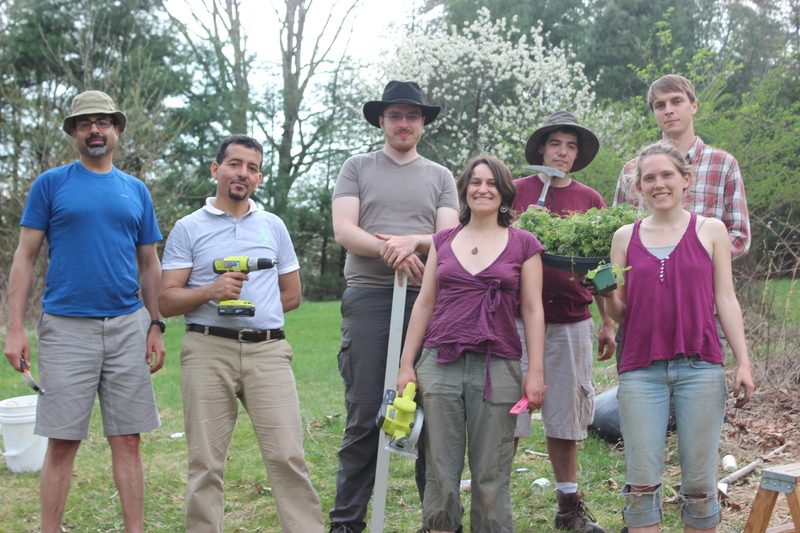 As Thanksgiving draws closer, we would like to give a big shout-out of thanks to the amazing people who have made Permaculture for Peace possible. Thank you Junior Beauvais, Fang Wan, Nuri Elmekharam, Parakh Hoon, Pavlo Ardanov, Tetyana Chuchko, Vita Lazorkina, Laura Zenotti, Steven Banks, Maureen McGonagle, Tim Naylor, Dennis Chang, Caroline Montgomery, Ben Wilke, Jesse Olsen, Pace Schneid, Drew Hornbein, Chengen Li, Oumoule Ndiaye, Aissatou Diouf, Mousa Alzahrani, Abdulrahman Al-Saqqan, Tom Martinez, Cullen Hedlesky, Alicia Hedlesky, Crystal Allen-Cook Marshall, Edward Marshall, David Edelstein, KD Jang, Roy Lee, Starflower O’Sullivan Miko O’Sullivan, and all of the many inspiring people who have made this project possible. You are all amazing! THANK YOU!!!! 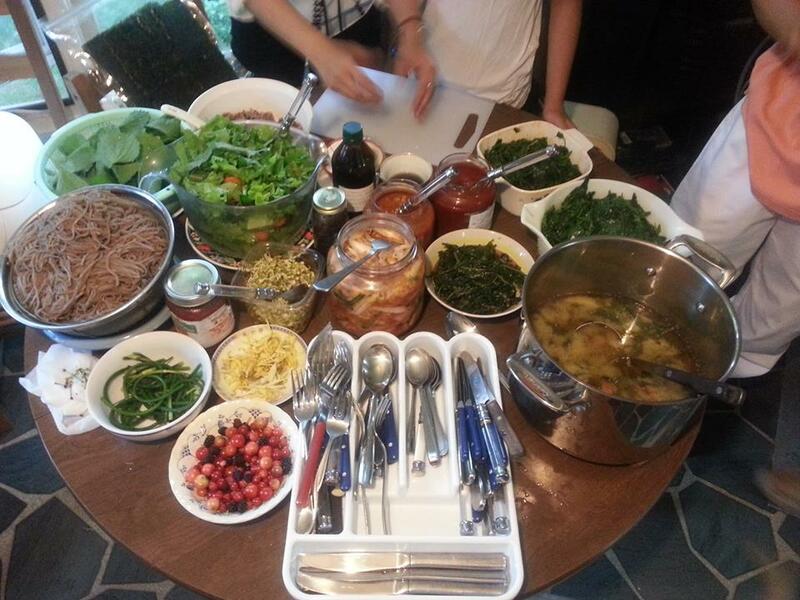 Wild Foraging and Korean Cooking Workshop a Success! KD and Roy teach us the fundamentals of Korean cooking in the Octagon house. 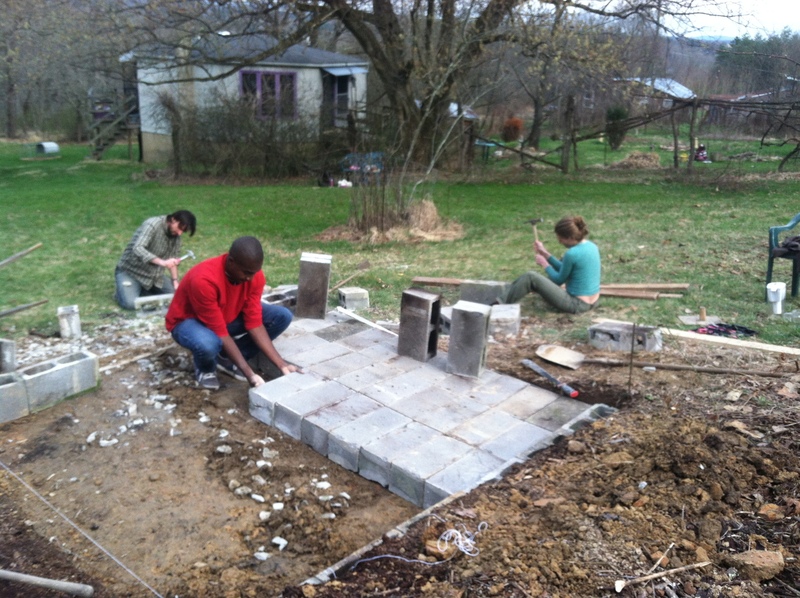 After a long hiatus from the blog, we’re excited to report some new developments at Crow Forest Farm. Thanks for keeping in touch! 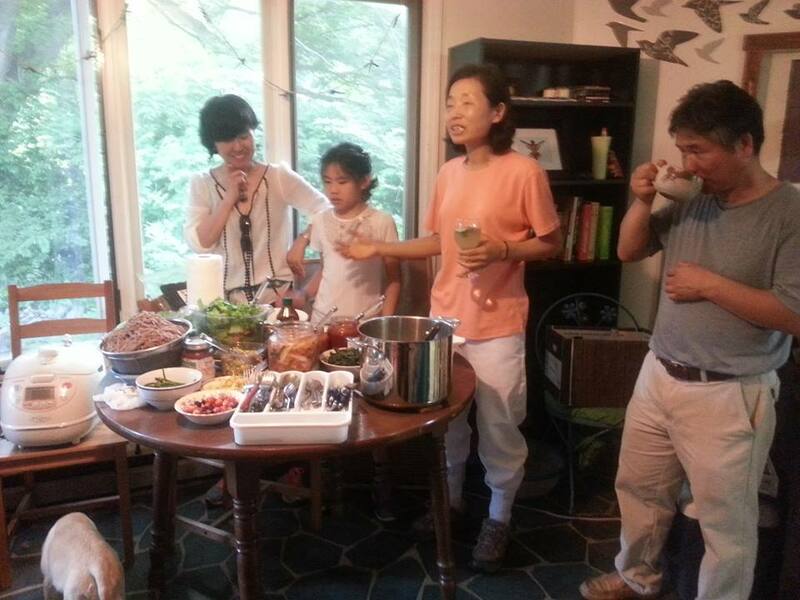 On Saturday, June 7th, we had an awesome “Wild Food Foraging and Korean Cooking workshop” led by my dear friends KD Palwole Jang and Roy Kim. During this fun filled evening, KD, a certified acupuncturist, Chinese herbalist and Korean Medicinal Healer took us for a stroll through the woods to discover nature’s wild abundance growing all around us. 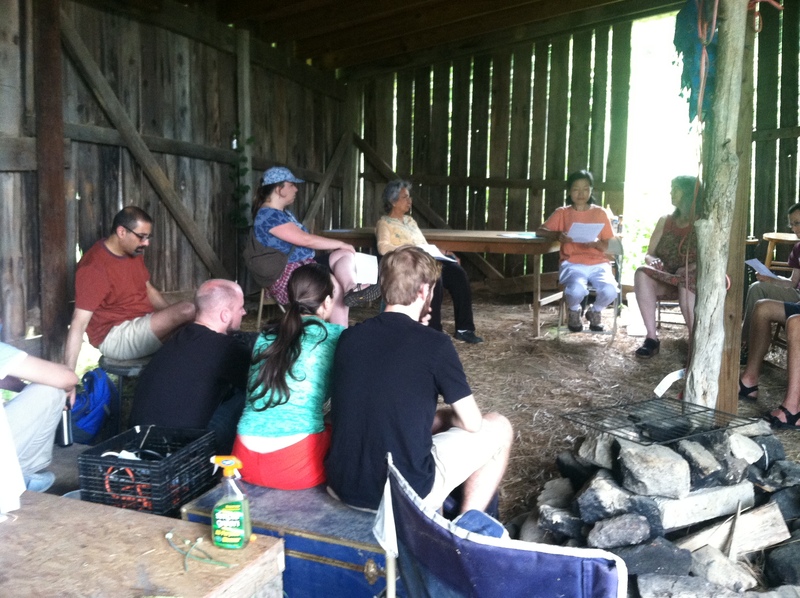 KD teaching us in the barn about the “Five Elements Theory” of Korean cooking. We began the afternoon with a short round of introductions and a 20-minute presentation by KD about the “Five Elements Theory” of Korean cooking. She described the kinds of foods that our bodies crave when we need certain kinds of healing, and what kinds of foods can balance our energy. 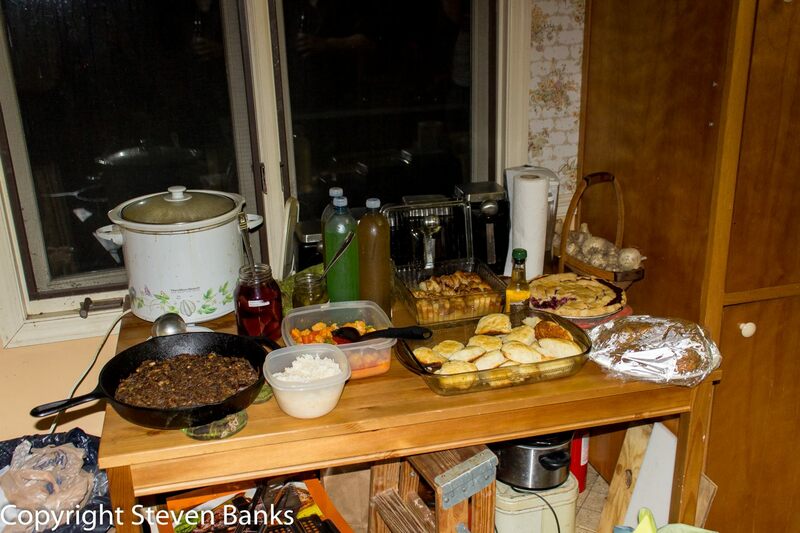 The astute observation of one of our ~20 participants was that it made sense to eat food in season. 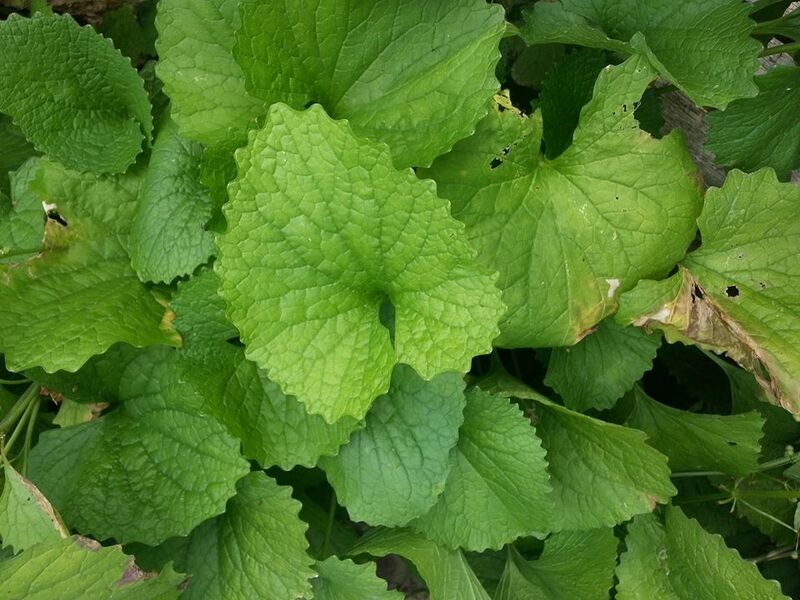 Garlic mustard. One of the most abundant and nutritious foods in the wild! We then took an hour and a half walk-about over Crow Forest Farm, learning how to identify different edible plants in the wild. We learned that wild edibles grow best on the edges of forests and in places that are rebounding from disturbances. 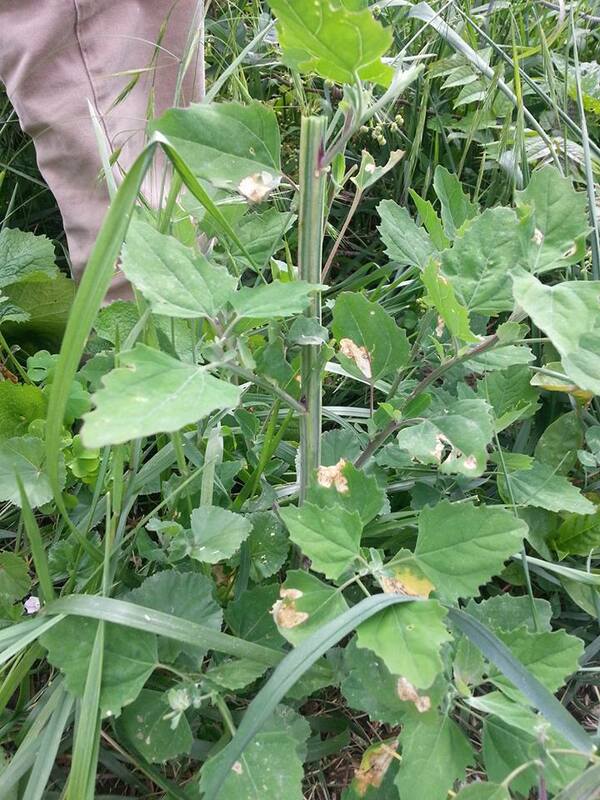 Our first great discoveries were wild mustard greens and lamb’s quarters (wild spinach). Both of these plants are growing in abundance in an area where the invasive “Tree of Heaven” has been cut down. Tree of Heaven is an allelopathic invasive plant that sends out hormones into the soil that prevent other plants from growing around it and competing for nutrients. It was interesting to observe that only these strong, wild edibles were growing in areas where nothing else could. Wild spinach is growing like crazy in our space! Super delicious and nutritious! We learned that the best way to harvest lamb’s quarters is from the top, so we could get the most tender leaves and could allow the plant to continue to produce food. The food made a delicious sautée with Korean Chile paste! Mulberries! Ferment them as a condiment, or just eat them fresh off the tree. So good!!! 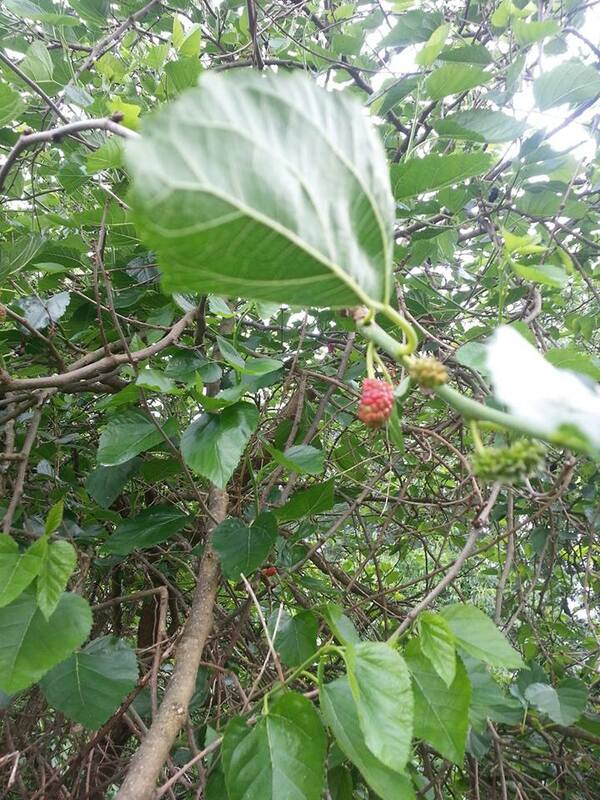 Next, we harvested mulberries from our five mulberry trees! We learned that the smartest way to harvest them is by putting a bed sheet underneath the tree and shaking it. Mulberries can be eaten fresh or fermented to create mulberry wine or condiments. 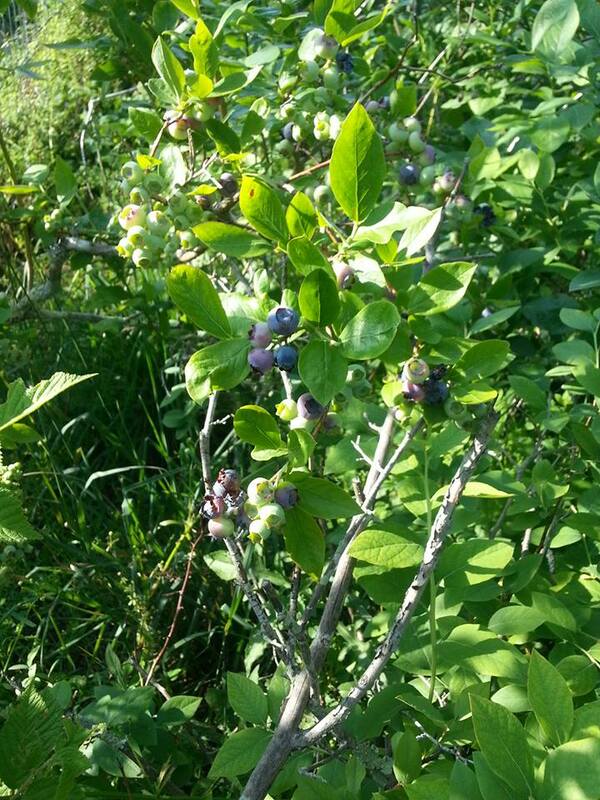 We then discovered bush cherry, sour cherries, and blueberries growing on the edge of the forest. We also had jerusalem artichoke, or “pig potato” poking out of the weeds. 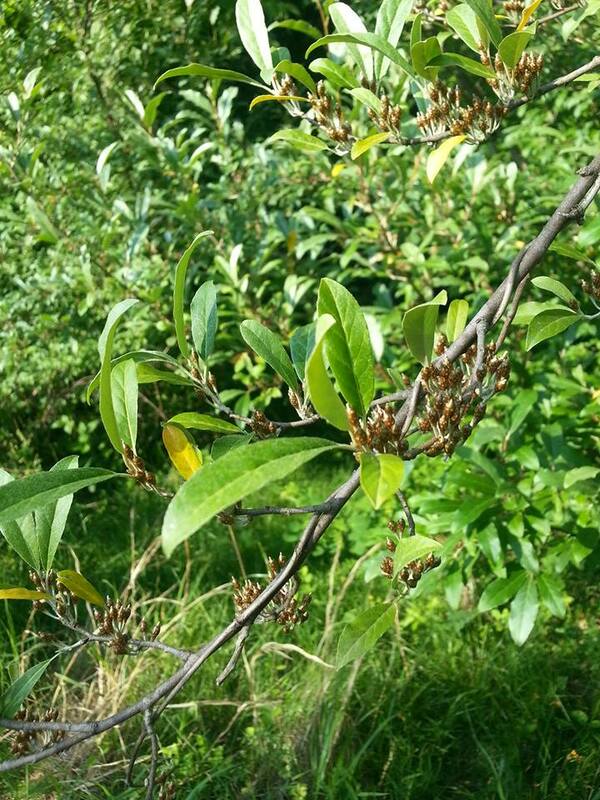 Autumn olive bears delicious fruits in the late summer/early fall. 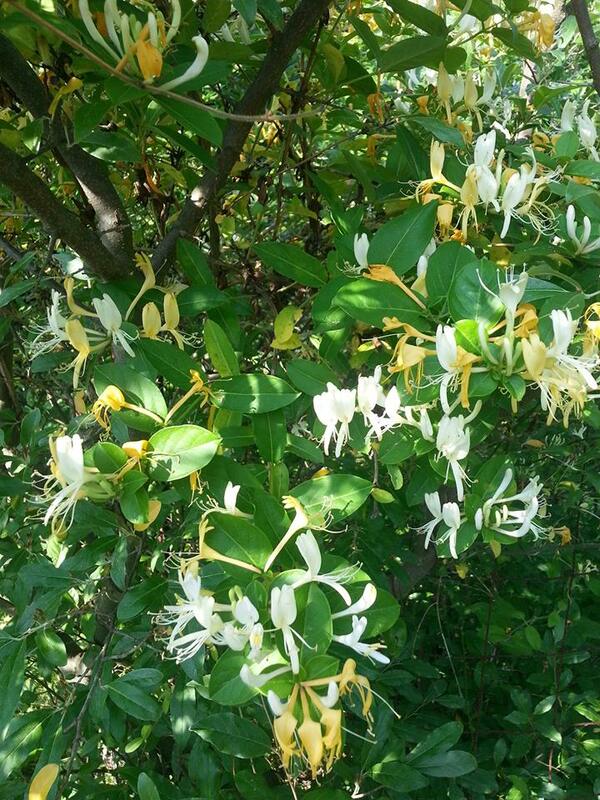 Around the autumn olive, we found beautiful honeysuckle blossoms that we collected to make a relaxing tea! Honeysuckles make a delicious tea! 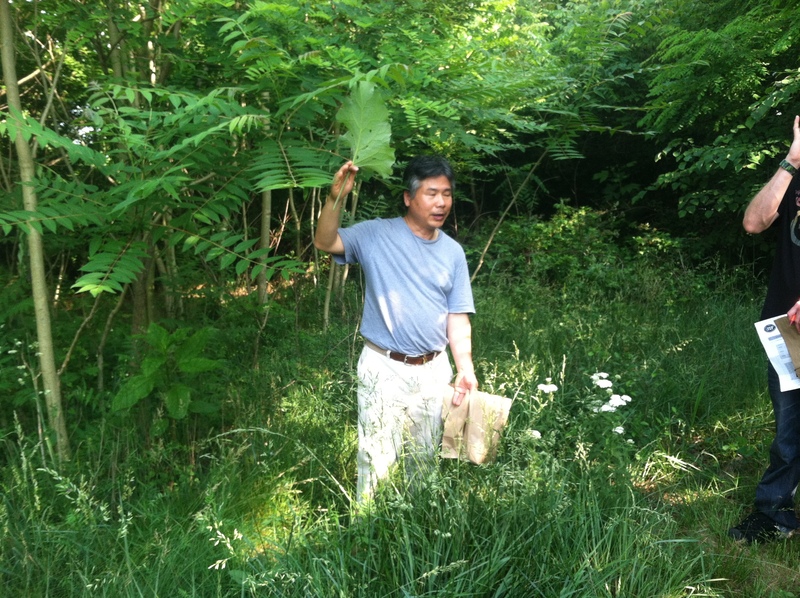 We then continued deeper into the woods, where we found “To boong young” growing around wild rose and paw paw trees. 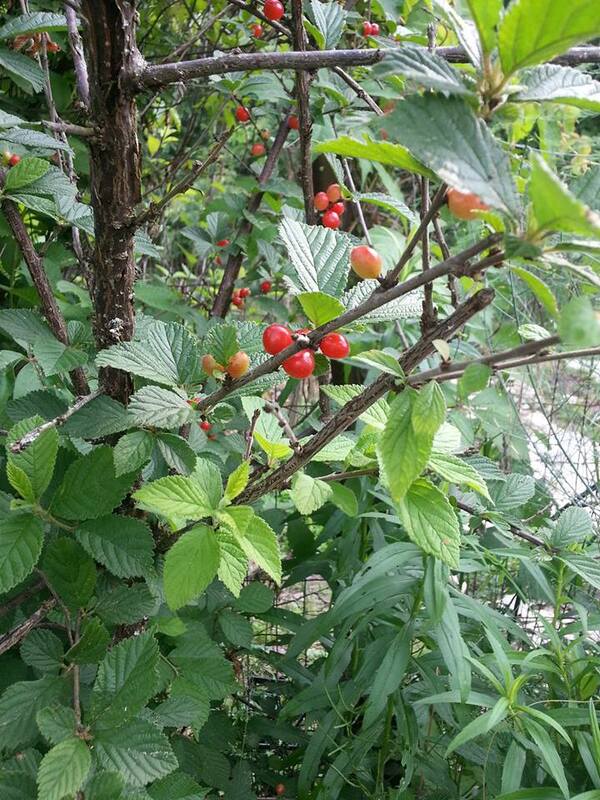 The new growth on the wild rose and To boong young can added to salads. We also found wild garlic growing among the ferns in the paw paw grove. Roy demonstrates how Burdock root makes an excellent “chop and drop” mulch for garden vegetables. We then went to the edge of the forest, where Roy made Parakh dig up a bunch of burdock root. This edible is particularly nutritious because its taproot absorbs minerals from deep within the earth and then brings them up to the earth’s surface. For this same reason, it makes an excellent “chop and drop” mulch fertilizer. Poke weed is a delicacy that can only be eaten during its earliest stages of development as a cooked green. Once it matures, it becomes highly toxic. We look forward to keeping our eyes out for this next spring. We also discovered some delicacies such as pokeweed and milkweed, which we could not harvest this season but could harvest next season. 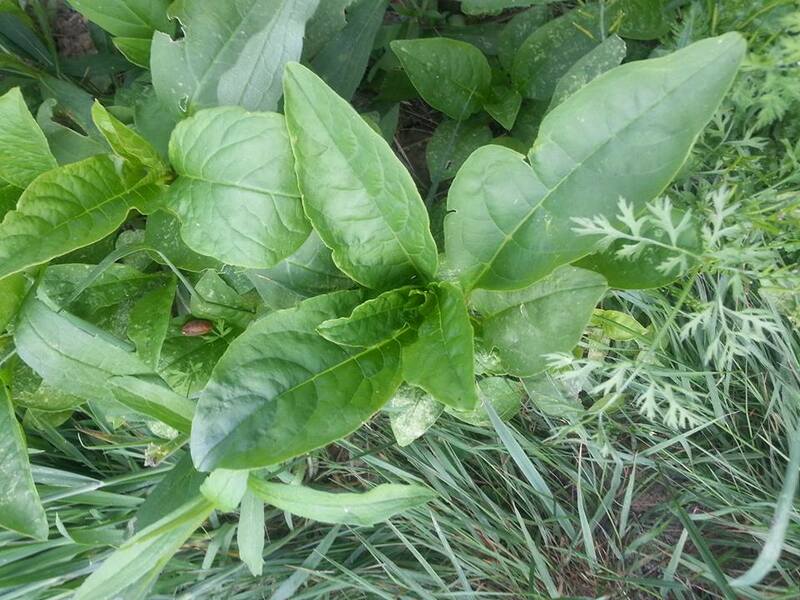 Pokeweed makes a delicious cooked vegetable when it is young and immature. Once it matures, it becomes highly toxic. Hence our appreciation for expert guides like KD and Roy. After identifying different edible plants, we then broke up into harvesting groups. People harvested as much of their assigned plant as possible and brought them in paper bags to our outdoor washing station near the spiral garden. 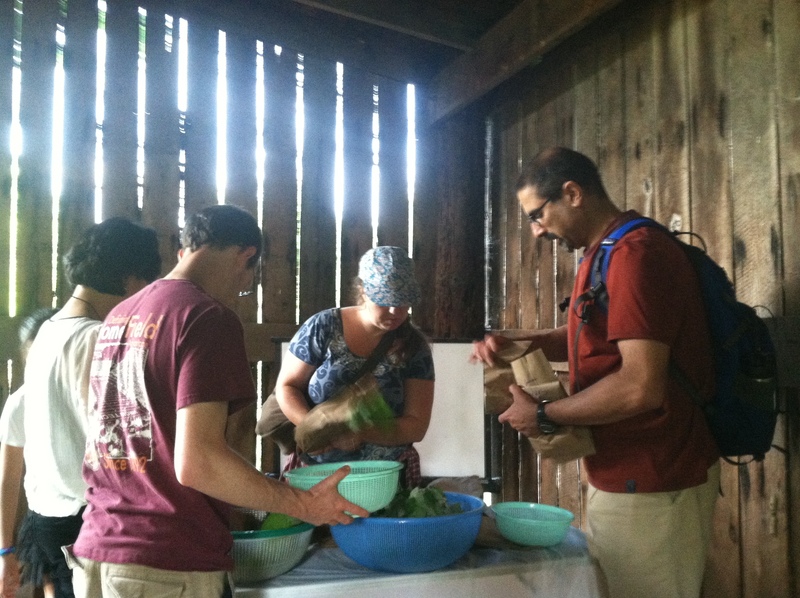 Samuel, Eunyoong, Kama, and Parakh sorting and washing wild vegetables in the barn. Once the harvest had been double-checked and cleaned, it was taken to the kitchen! We prepared Bimbim bop, Kimbim bop (Which is the Korean precursor to sushi) real miso soup, and kimchi. We ate a feast and had a toast of fermented ginger wine with mottled speramint leaves and sugar. Life doesn’t get much better than this! 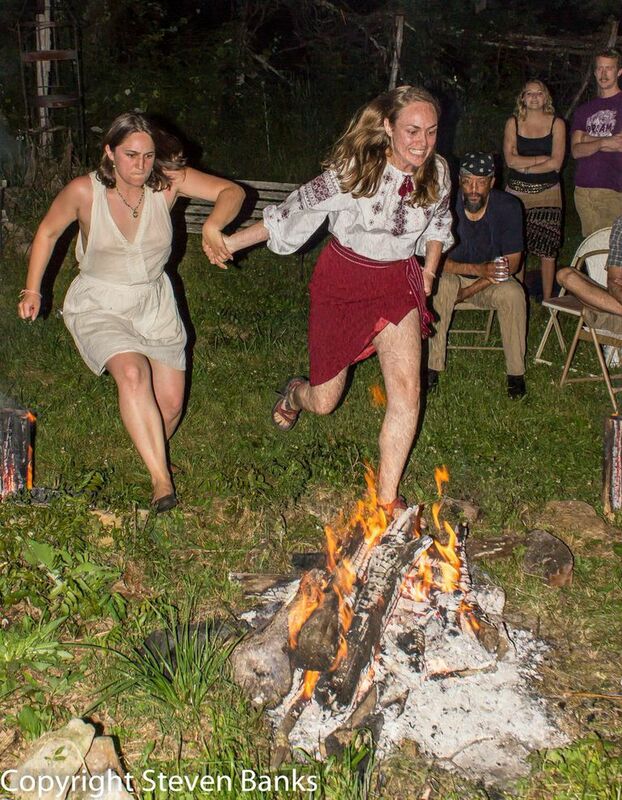 Stay tuned for our Ivana Kupala Ukrainian solstice celebration on Saturday, June 21st! Please join us on Saturday, June 21st for Ivana Kupala- a Ukrainian Summer Solstice Celebration! Ivana Kupala is an ancient Ukrainian holiday celebrating the two elements that created the world: water and fire. Traditionally, virgins, lovers, and crones gather on the summer solstice to seek the Tsvit Paparot (the mystical fern flower) on the shortest night of the year. Maidens make wreaths to toss in the stream to be found by their future lovers. Crones tell your fortune over wax and water. Minstrels sing. 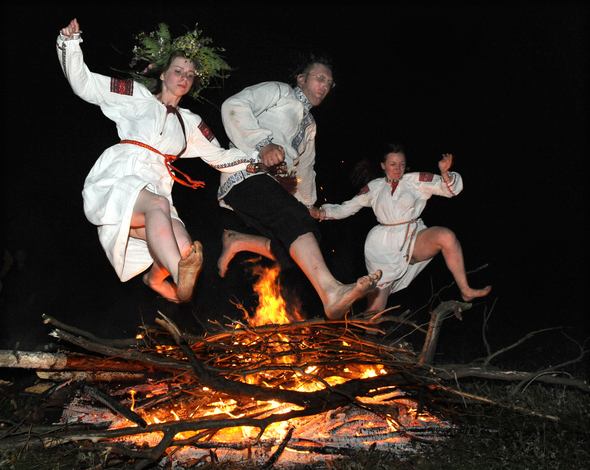 At midnight, couples test their faith with a leap over the kupala vatra, the bonfire, to affirm their commitment to each other. Dress as your favorite nymph, god, or traditional costume. Bring instruments, snacks, beverages and a sense of adventure. Live music and fire dances from Orbit Eyes, Sovereign Goblin and George Hardebeck. The Crew! Parakh, Nouri, Drew, Evan, Tim, Christina and Maureen. What a day! 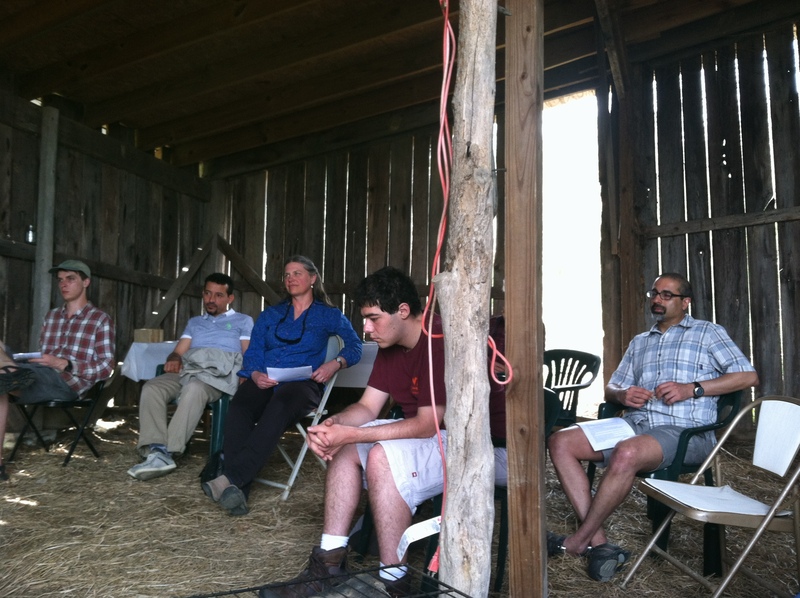 Starflower O’Sullivan facilitates our first “Shed Talk” at Crow Forest Farm! Every day, I am blown away and grateful for the amazing life I am suddenly leading, and the wonderful people who have come into it. This was a particularly eventful weekend at Crow Forest Farm. On Saturday, we had a Pysanka (Ukrainian Egg) Painting workshop, where we wrote our intentions for Spring using ancient symbols. 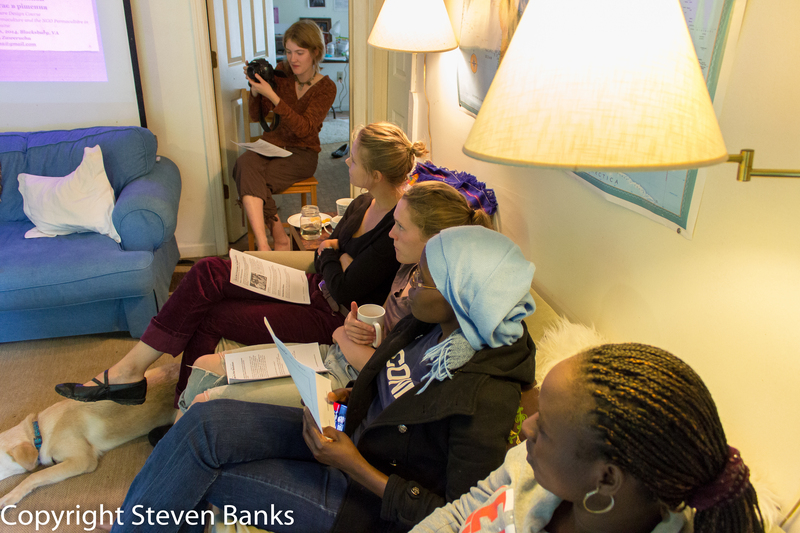 On Sunday, we had our first ever “Shed Talk,” hosted by Starflower O’Sullivan, regarding the Keystone XL pipeline, and a meaningful discussion about alternatives. 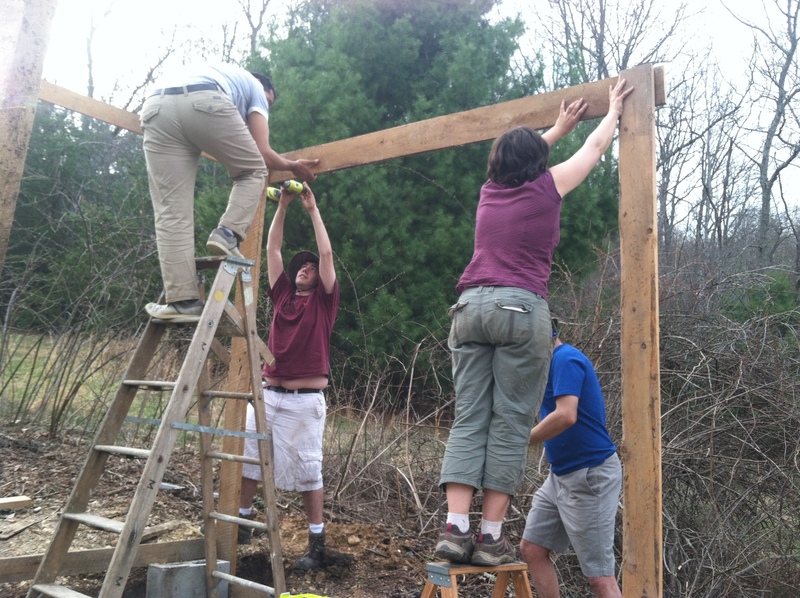 On Sunday afternoon, we built the frame for our Rainwater Harvesting Chicken Coop Greenhouse (We’ve got to come up with a shorter name! ), and had a beautiful dinner at sunset. Life is beautiful. A quality audience for our first Shed Talk! 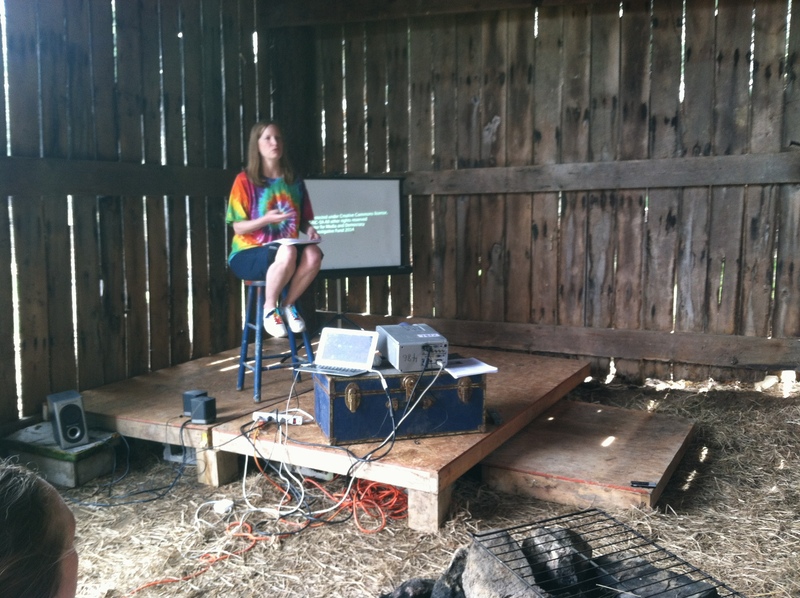 First, I must give thanks to Chris Piatt and Kelly Junco, who spent much of February/March leading the clean-up of our barn and building a stage for the eagerly-awaited Shed Talks. I must also give thanks to Parakh Hoon, who lent us his projector, and to Dennis Chang, who gave his input regarding lighting/orientation and shot video of our Shed Talk. (Soon to be uploaded). 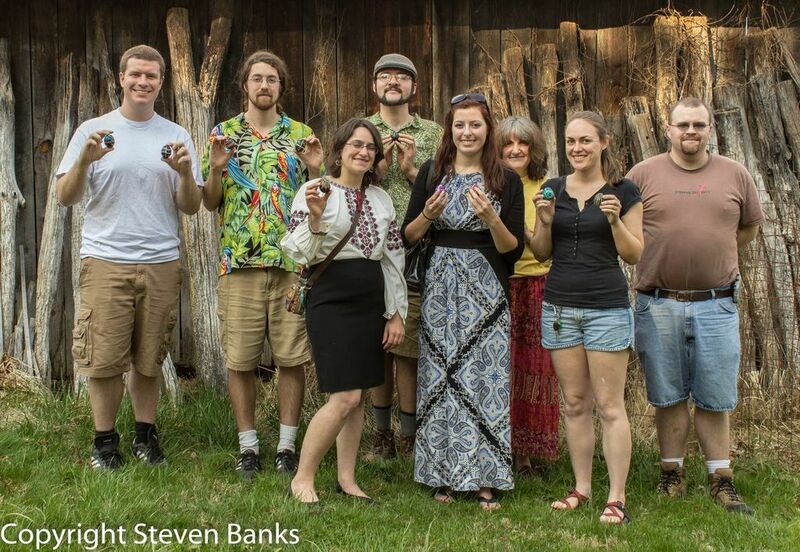 The pysanka workshop went well, and thanks must go out to Steven Banks, who took beautiful shots of Crow Forest Farm and the wonderful artisans who frequent it. 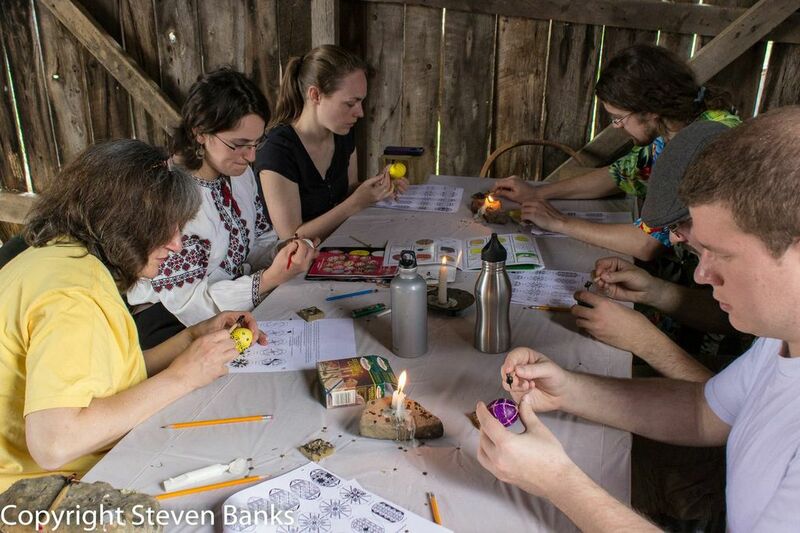 Industrious artists drawing symbols with beeswax on our pysanky. Starflower did a wonderful job of researching and presenting the issues and challenges surrounding the Keystone-XL pipeline. She facilitated a heartfelt discussion, where people from across the political spectrum discussed what courses of actions to take. Some advocated a middle of the road approach, allowing the pipeline to be built under the conditions that all tarsand oil be earmarked for building a green energy infrastructure. Others discussed the implications of the pipeline in light of the recent NASA study and statements from the UN regarding the imminent impact of global warming. Others discussed the virtues of developing intentional communities, where resources such as cars and computers are shared. Some asked tough questions about the reality of congressional politics, and how congress-members’ decisions to support or reject the pipeline could effect the shape of congress in the long-run. There were also discussions on how to engage with people who disagree on a personal level. The most heart-warming thing, however, was how two of our guests from the Middle East came to me afterwards, saying how grateful they were to see Americans discussing the implications of fossil fuel dependence. Over dinner later, we learned more about how US consumption of Middle Eastern oil has empowered dictatorships in the region. Arranging our diverse collection of recycled wood and securing it to our foundation. We are proud to say we are still at a budget of $0! After the shed talk, Maureen, Tim, and Evan planted potatoes, cabbage and onions. 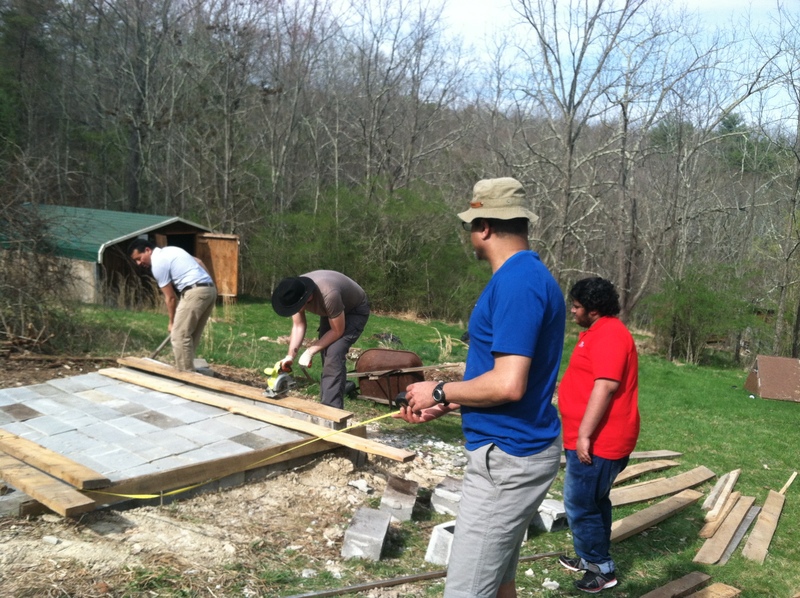 Meanwhile, Nouri, Parakh, Drew, Mousa and I worked on building the wall frames for our chicken coop. We are deeply grateful to Dan Warren, a barn-builder who stayed after the Shed Talk to advise us on how to attach the walls to our foundation. He was very encouraging, and his expertise saved us a lot of time and head-scratching. Just like last weekend, we accomplished more than I expected. Thank you, hard working people! 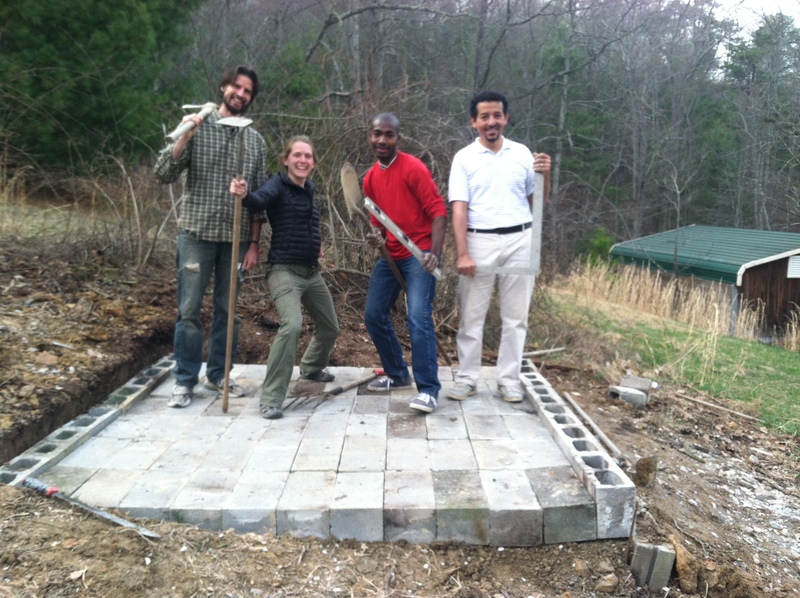 Nouri, Evan, Christina Z and Parakh building the frame for our chicken coop/greenhouse. When the evening was over, we had a beautiful dinner outside the Octagon house. We had roasted Jerusalem artichokes, thanks to generosity of Elliot Crookshank and his Mom Nancy from the 3 Cow Dairy in Floyd. We ate Soujouk, a smoked Halal beef sausage, a gift to Nouri and Moussa. 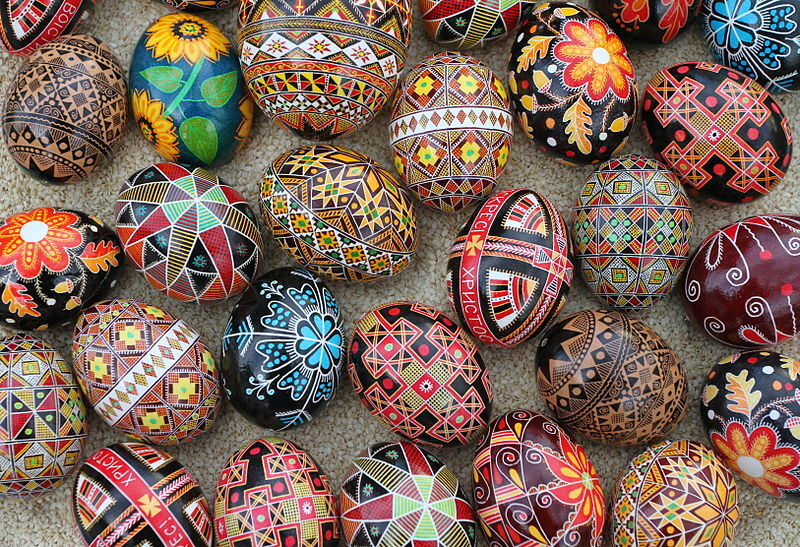 I contributed leftover Ukrainian food from the pysanka workshop, including kapusta, kasha, and turkey shnitzli. Finally, Tim and Maureen prepared a delicious salad of lettuce and mustard greens, freshly harvested from our cold frames. The discussion lasted long after the sun went down. 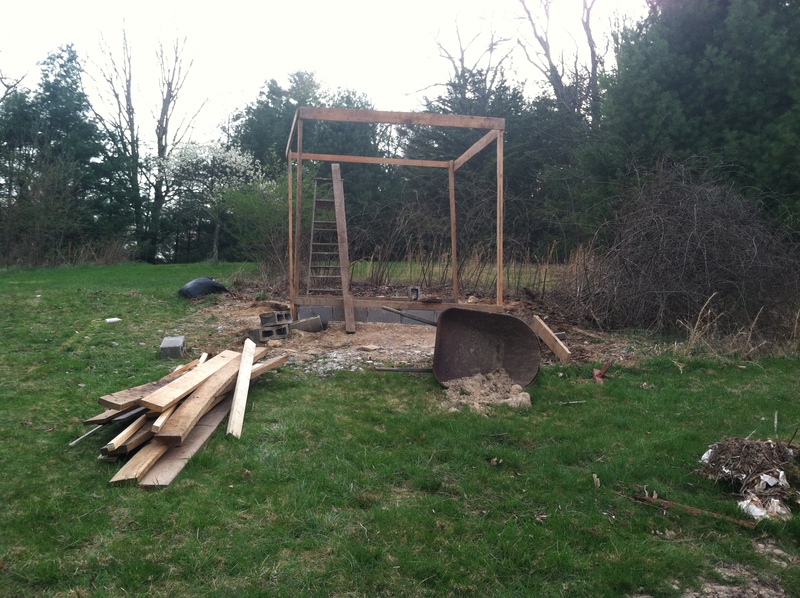 Our finished frame for our chicken coop/green house! 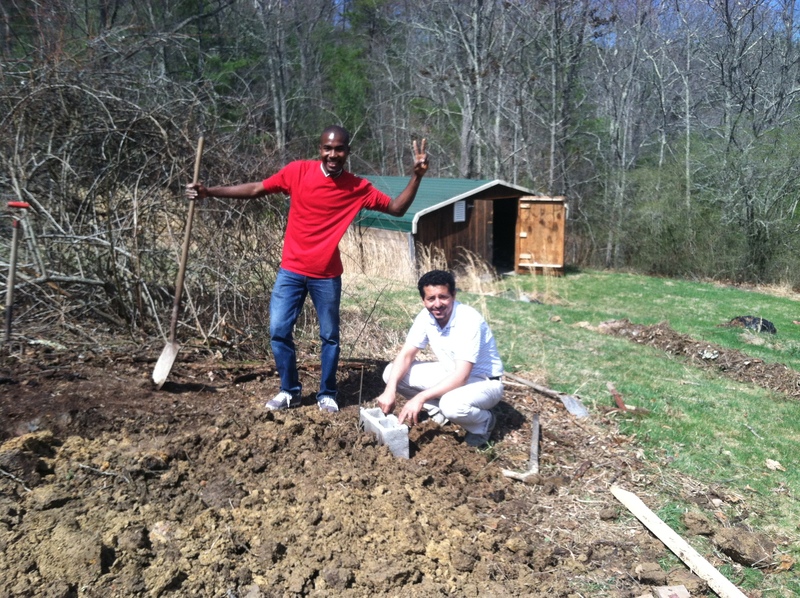 My friend Drew, an OWS “hacktivist” friend who came to help on the farm, reassured me that the life we’re cultivating here at Crow Forest Farm is not unconventional. Rather, it is “neoconventional.” That you can have a professional day job, but have a collaboratively self-sufficient community for the other 16 hours of the day. That night, I slept so soundly, grateful for the beautiful community of people that have been blossoming around this great experiment that has become my life. The universe works in mysterious ways, and while it’s not always easy, I feel grateful to the people who are helping me “grow my hands” along the way. Thanks for a great creative and collaborative community!